Pan India presence we are carrying out all kinds of Harmonic audit and analysis consultancy service detecting harmonics upto 50th Level. Team can find out exact source of harmonics by carrying out extensive study.We are serving various customer across industries for our services. To know more get in touch with us. Get the services for Harmonic Analysis from the best company in Asia. Expertise of 25years in solving all kind of harmonic problems,we are leading company for Harmonic problems.With expertise of 25years & Equipped with Fluke Power Analyzer we are carrying out Harmonic Analysis and Harmonic Audit.Our strength lies in expertise for analysing the data from power analyzer which helps in finding root cause of problem and also our powerfull analyzer which help to detect harmonics upto 50th level.Not alone harmonic transient,disortion and other problems are also easly captured by our power analyzer. We are one of the most reputed company which has succesfully find out harmonic related problems and given remedial solution to the client across various industries,IT offices,Buildings,Hospitals,Power Plant,Steel etc. We are Located across major cities in India.For more information we request you to get in touch with us. Get Solution for Harmonics from BEST Harmonic Consultant in India. 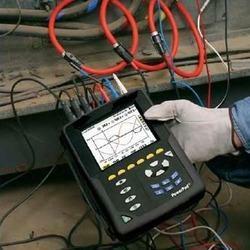 With expertise of 25years & Equipped with Fluke Power Analyzer we are carrying out Harmonic Analysis and Harmonic Audit.Our strength lies in expertise for analysing the data from power analyzer which helps in finding root cause of problem and also our powerfull analyzer which help to detect harmonics upto 50th level.Not alone harmonic transient,disortion and other problems are also easly captured by our power analyzer.